In version 2.0, fixed mirrors, added a navigator in the interior, all that was on the outside of the windshield moved into the cabin, and fixes several bugs, unfortunately separate registration failed. There F12 not FH12, re-edit. Lovely Volvo F12. Have tested it for two days, unfortunately the game locks after three minutes. Have tried without anything other in MOD folder. verson 1.3.1. If you want to drive this truck you have to run 1.3.1s . s means Steam. I also don´t have the original Steam version. I took the mod Rush Hour. That changes 1.3.1 in 1.3.1s . And there the truck works fine for me. I’ve had issues with games not working without Steam. In my case, simply installing Steam fixed the problem. Note: I DO NOT run Steam. It’s just installed. Have tried the “Rush Hour” but after a while the game stops and I get a message that “Rush Hour” has ended and work. C > Programme > ETS2 > bin > win x86 > overwrite eurotruck 2 with the rush hour eurotruck 2. Then the game is a Steam version 1.3.1s that works as well as 1.3.1 . Correct. 1.3.1s=Steam. Now this truck should work without problems, as you can see this truck was tested in 1.3.1s . I did it in that way and it worked. Please feedback. Have started a new game. eafter a while the game stops and I get a message that “Rush Hour” has ended and work. Why is Volvo F12a team scs fil? 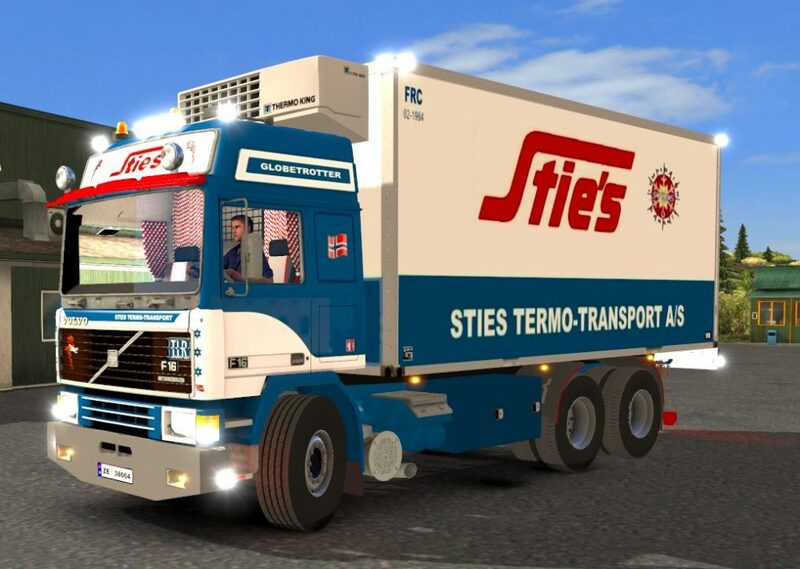 Volvo F12 is not a Steam scs file. It seems tö be that 1.3.1 and 1.3.1s are not 100% the same. This truck was tested in 1.3.1s . If it doesn´t work in 1.3.1 then it is logical to try it in 1.3.1s . The message you get is not understandable for me. I don´t know what you are doing wrong. Remark: When you install the Volvo you mustn´t extract the zip file. Take it as it is in your mod folder and activate it. Does the Volvo work for you in 1.3.1s ? I tested it with 1.3.1 as well as 1.3.1s, also tested it with and without other mods installed. Also tried multiple new careers, with the the above tested options, but no dice! A shame to say this, but this truck just refuses to work with any of the tested versions. Let’s hope that it’ll be fixed in the near future, since the F12 is still a very lovely truck. Well…. it works with 1.4.1! But without mods, since it replaces the entire FH16-range!